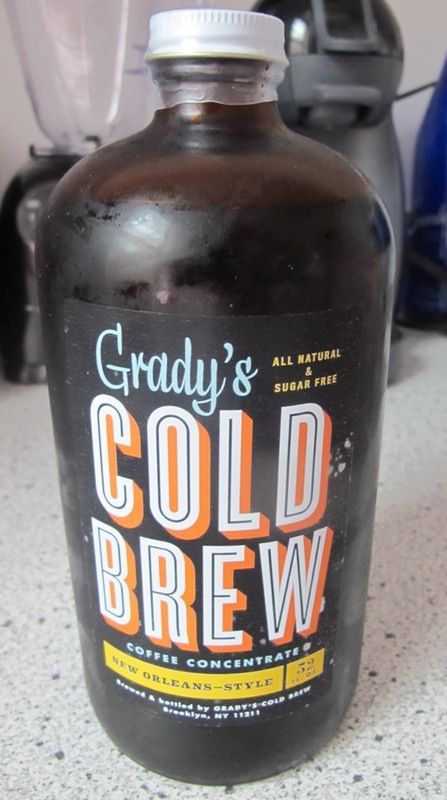 I was afraid my friends would think I started taking up drinking when they saw bottles of Grady’s Cold Brew coffee in my fridge. The amber bottles look like fat bottles of beer, but the only addiction it feeds is my java one. A serendipitous series of events led me to Grady’s coffee: I was on a photo shoot where somewhere in the conversation with my hairstylist, Matt Fugate of Sally Hershberger, I found that he also works with Amy Keller Laird, the Executive Editor at Women’s Health. Amy was a colleague at my very first job at Shop Etc., and later at Allure (one of the coolest, most hilarious beauty directors IMO — I say it’s the Midwestern thing but that may be me trying to hard to be associated with her awesomeness in some way). ANYWAY. Matt told me about her husband, Gary Laird’s, coffee venture and my ears perked up. Coffee?! It could be that this 7AM shoot led me to be extra vulnerable to such details. “You don’t need one!” Matt said. He told me it’s ready-made coffee that tastes extraordinary. And two days later, the box with samples showed up at my door. Thoughts in my head: A) My mornings are going to go by so much faster without having to wait in the coffee lines, and B) how quickly can I make a coffee frappe? It can’t be easy to start a coffee company in New York — the city certainly brews its own batch of coffee elitists, but I’m convinced after trying Grady’s Cold Brew it’s hard to not feel like the barista came to you. 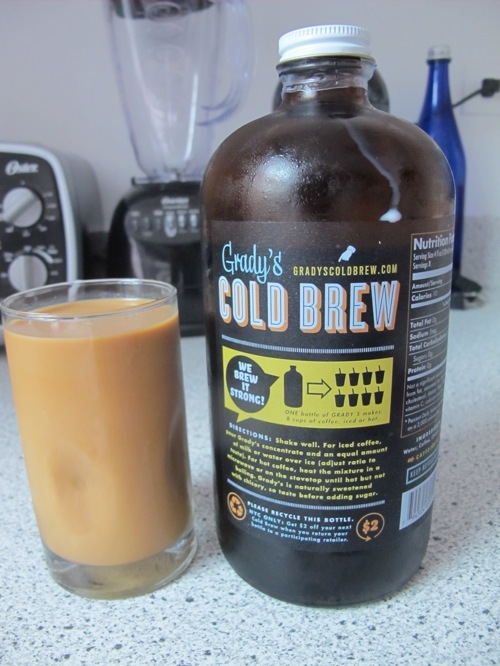 Grady’s refers to “New Orleans-style,” a city popular for their cold brew. 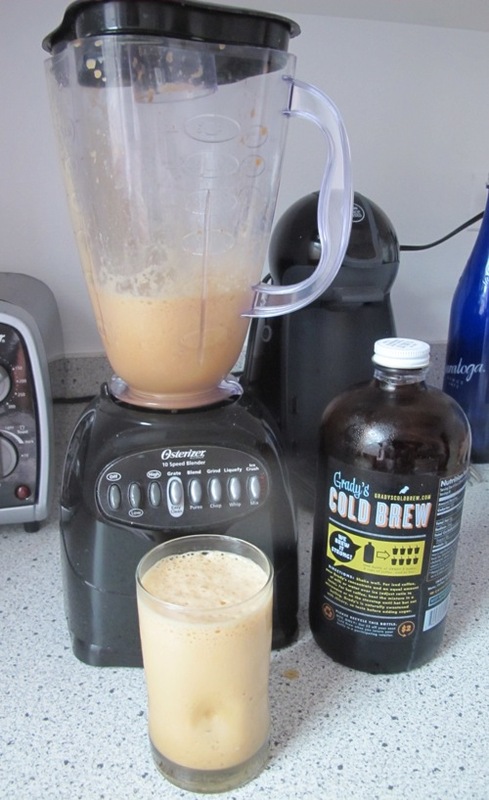 (Cold brewing, as described on their website, “is a process in which coffee is brewed by soaking grounds in cold water overnight. After steeping, the coffee is filtered to separate the grounds and silt from the liquid”). But you can drink this iced or hot. I first tried it cold with just a little milk and sugar (above) which proved to have a smooth but strong taste that woke me up right away, and decided I wanted to get a little more experimental by making a blended drink. I took out my blender and added ice and a banana (inspired by smoothies from Blue Dog Cafe). After adjusting with some sugar, I came up with the most wonderful at-home frappe, that’s got me so happy and wired, I actually finished this post in 10 minutes. Done. 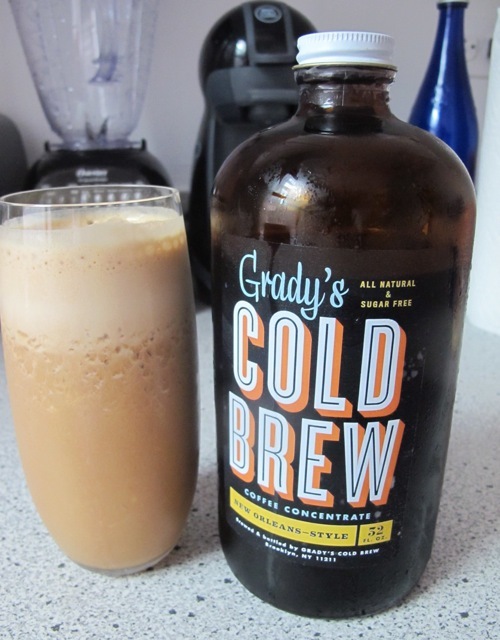 A Grady's Cold Brew frappe! Can’t wait to entertain coffee-loving guests with the same. One bottle ($15) makes 8 glasses, and available at a list of retailers like Whole Food’s and Union Market but check their Locations page to find one near you. You can also purchase at gradyscoldbrew.com. Update: I just made coffee frappes for 8 people and went through one whole bottle today. We can’t get enough! Cheating never felt so good. Bertolli, which you might recognize from the grocery store for their sauces, JUST came out with a line of Classic Risottos and Meal Soups. 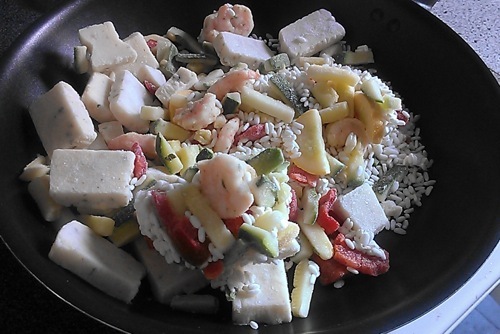 Trust me, sometimes with my schedule the easier the meal, the better…which unfortunately hasn’t always translated well in the kitchen. Truthfully, I’ve never tried this line before they sent their new launch to me and MAN these were a life-saver during Fashion Week…not only were they ridiculously easy (and quick!) 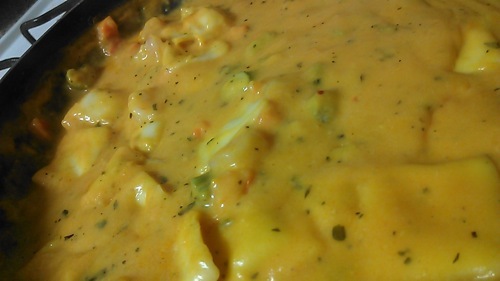 to make, they tasted insanely good. 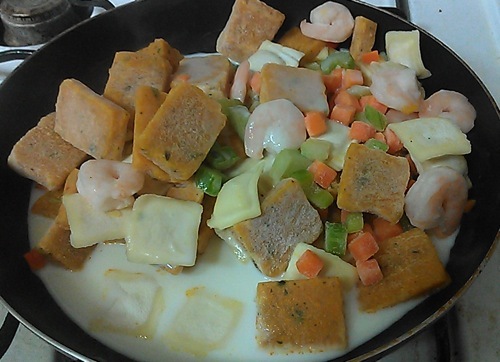 The best part is, you don’t have to even add anything to the risottos…just warm on the stove and they just melt into buttery goodness. 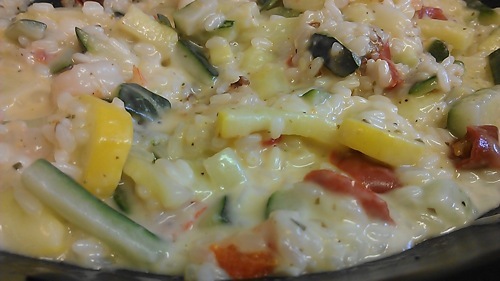 They’re available in two rich flavors, Roasted Chicken & Mushroom and Garlic Shrimp, and made with Italian rice, parmesan cheese, veggies and high-quality proteins. The only gripe I have is the ‘Meal for Two’ business on their packaging..because I easily finished one pack alone each time. 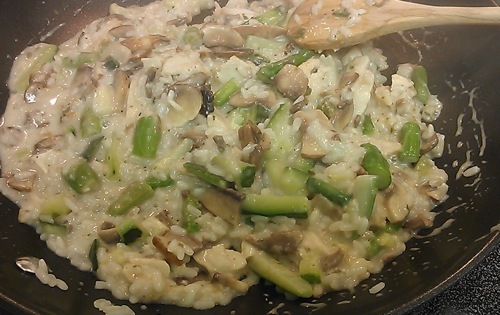 And if you’re vegetarian or have food restrictions, I’d still try the mushroom asparagas chicken risotto (you can even pick out the chicken while it’s frozen and cook veggies and rice separately — it’s heavenly and makes a delicious side too!). Just thought I’d share the good word. Just wanted to point you all to a beautiful article written by a beautiful friend (who happens to be my roomie/fellow beauty product tester, yaay! ), Shazia Memon. She’s a nurse at Columbia Presbyterian here in NYC, and has always talked about publishing this article about her experiences in the PICU. It has finally been published (in The Atlantic no less!) and turned out to be an incredibly insightful and touching piece. Giveaway! 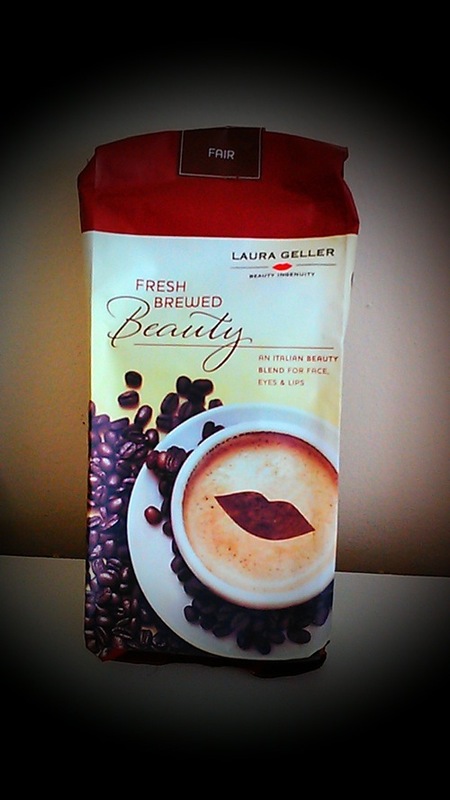 Laura Geller’s NEW Fresh Brewed Beauty Kit! I have some exciting news! TODAY, Laura Geller will be presenting her brand new Fresh Brewed Beauty exclusively on QVC…but as a special to Beauty and the Feast readers, you can win the entire kit in today’s giveaway! 6) Double Ended Applicator Brush – a dual ended brush perfect face, and eye makeup application. 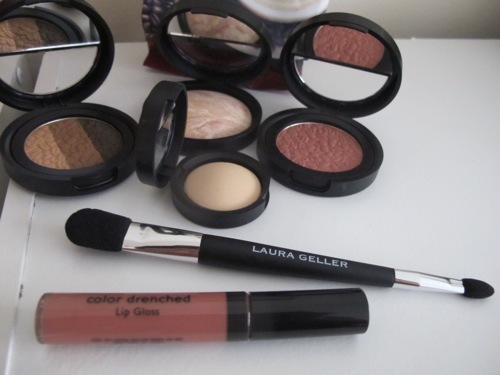 These are shades every girl seriously needs in their makeup arsenal! The winner will get this limited-edition custom kit by simply doing one of the below (or more to increase your chances of winning! MAKE SURE to leave a comment below letting me know how you entered (either on FB or with your Twitter handle). Winner will be announced on Friday, September 28th. Thanks for entering and good luck!! Chicago’s trendy taco scene may always be distinguished (and ruled) by late night favorite Big Star. But that doesn’t mean Chef Paul Kahan doesn’t have his fair share of competitors. 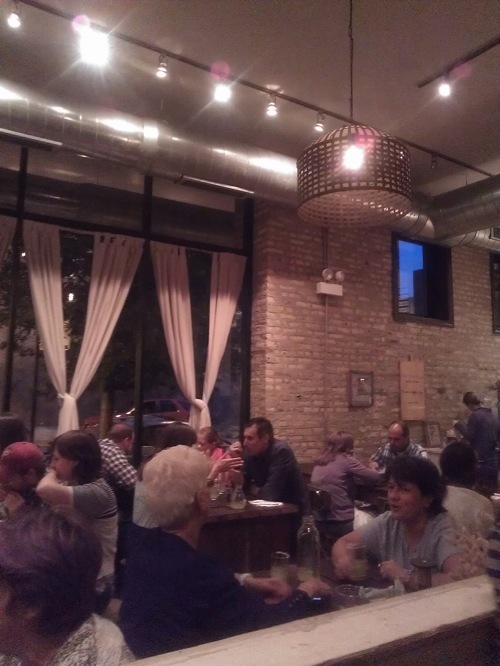 Fellow Wicker Park joint Antique Taco serves up similarly scrumptious tacos packed with punches of unexpected flavors. 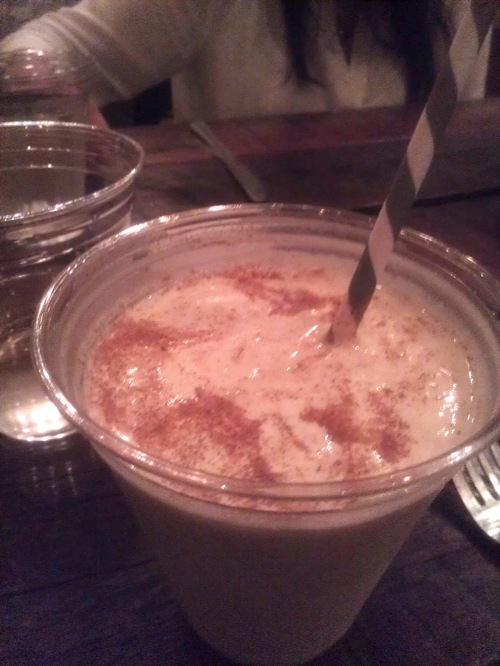 Given that I’ve dined there three times this month and somehow still can’t stop daydreaming about the dessert-like horchata milkshake, I’d say Antique Taco gives Big Star a run for its money. Almost. The restaurant couples market Mexican fare with an antique vibe, complete with communal seating, wooden benches, and vintage china. And though it gets a little too loud on the weekends, it’s the perfect spot for an inexpensive weekday jaunt. 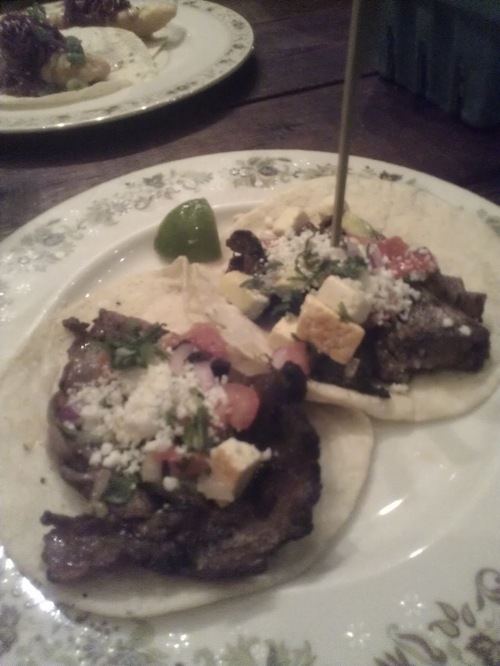 Having tried a substantial part of the menu, the grilled ribeye steak tacos are by far the superior of the bunch. 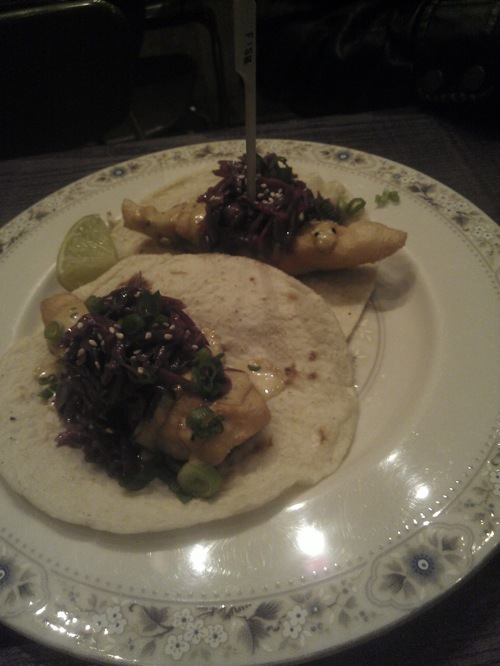 The crispy fish tacos, with smoked cabbage, scallions, and the surprise sriracha tartar sauce, come in at a close second. And, while I won’t go as far as to say that the fish tacos are better than their counterparts at Big Star, I do think that the creative fusion touch gives it a distinction all its own. Tacos aren’t the only thing on the menu worth mentioning: the masa biscuit and lobster gravy entrée is just the right amount of comfort food. 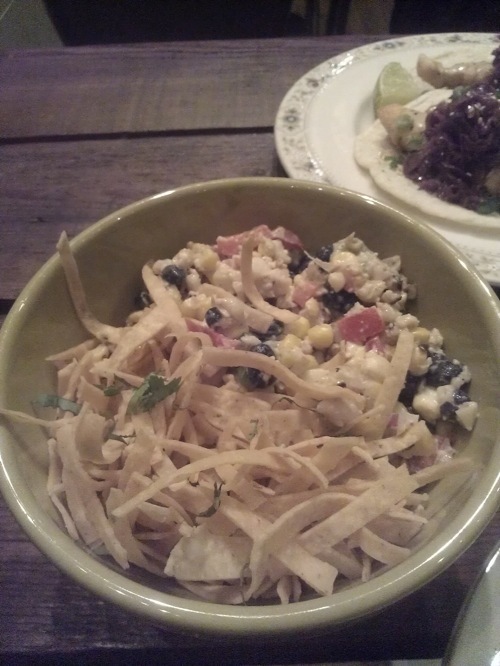 The Corn OFF the Cob salad, with parmesan, black beans, red peppers, avocado and corn chips is ah-mazing. 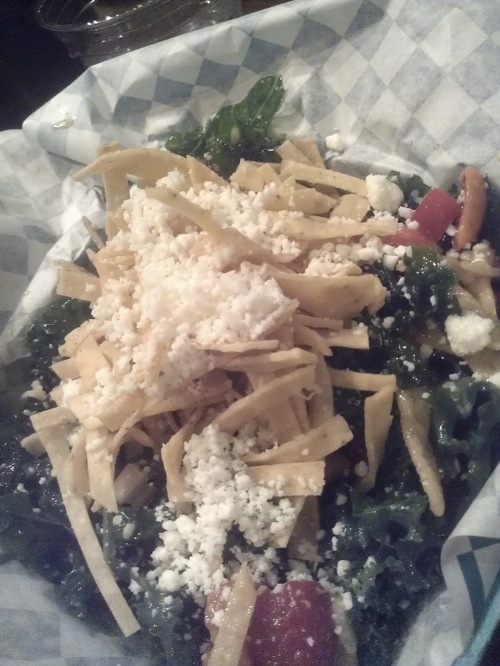 And, if kale is your current favorite superfood, the Antique Taco signature salad incorporates it into a mix of spicy peanuts, queso fresco, cranberries, sesame, cilantro, and pomegranate vinaigrette. Frankly, the chicken tacos are the only unmemorable thing on the menu. The best item on the menu: Grilled ribeye tacos with a house steak rub, heirloom salsa, cilantro, onion and queso enchilado. I predict many more trips in my future – not to mention plenty more wasted hours spent daydreaming about that cinnamon topped horchata milkshake. You guys, I feel guilty as hell for leaving you hangin’ (ESPECIALLY during Fashion Week). Thing is, the work required to update constantly while covering backstage while working a day job while jumping from city to city ain’t easy. 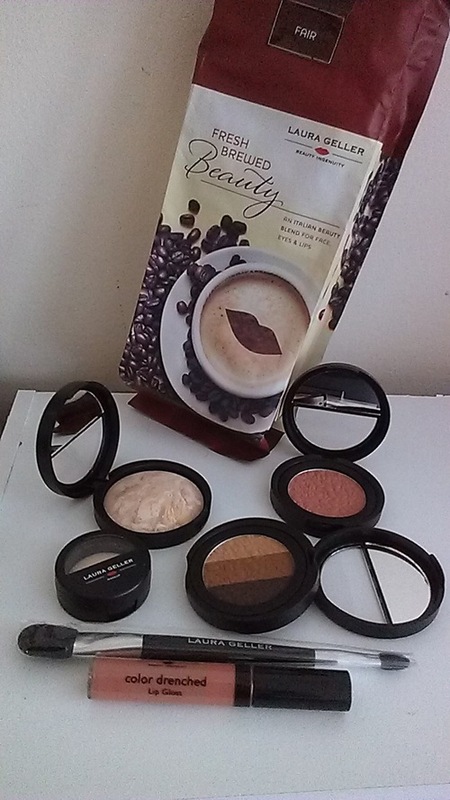 So this time, I’m going to cover FW beauty trends retrospectively, which I think will be much easier going forward. But I have been eating a lot. Testing a lot. And I have a lot to say, so we can start with one topic of conversation that came up recently: cologne. Guys, do not skimp on the importance of good cologne. I wrote a post on cologne a while ago with some suggestions (well ok, they just happen to me my preferences on cologne). But the best thing is to go out and test, test, test — with the help of maybe a cute girl to give feedback. Try not to drench yourself with it either…you’re not going for a Night at the Roxbury-Creeper-You’ll-Smell-Me-Down-The-Street scent…unless you are. But I’ll say just enough that maybe someone will get a unexpected slight whiff of your cologne when you pass by. 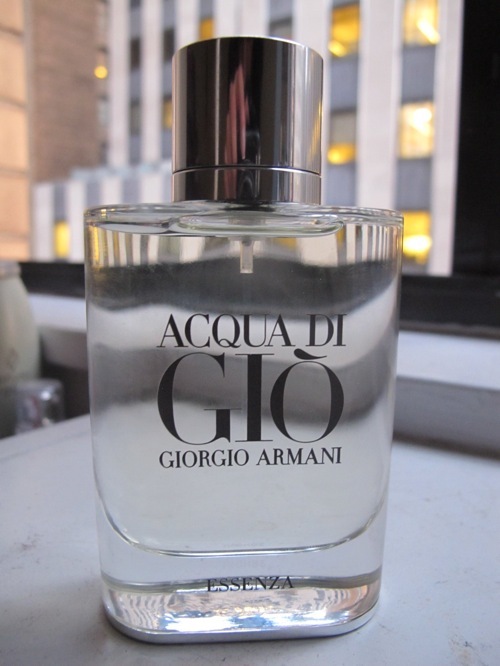 I’ve always loved Giorgio Armani scents, and I feel like guys usually have Acqua di Gio. But here’s a reason to update your collection: Armani just release Acqua di Gio Essenza. Inspired by the Mediterranean, same classic look but this addition is an even more intense scent (read: a little goes a long way), which includes notes of grapefruit, basil, jasmine, and Sicilian bergamot essence. I love that it still has hints of its predecessor but still different enough that I felt guys who I’ve asked to sniff this one were even noticing. Acqua di Giò Essenza is available for 40ml ($79), 75ml ($108) and 180ml ($168) at GiorgioArmaniBeauty-USA.com. What colognes are you using right now?